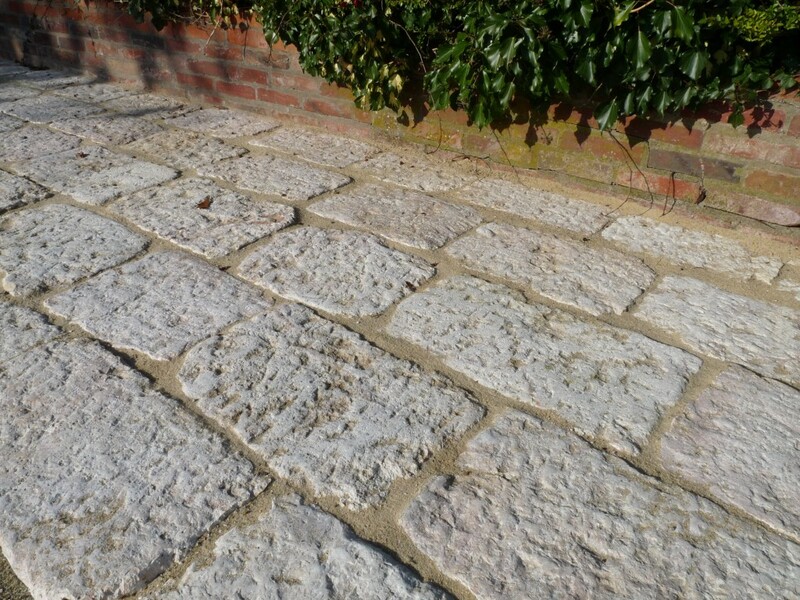 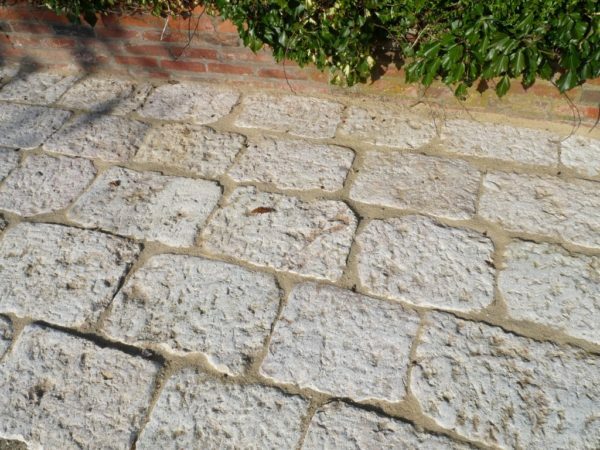 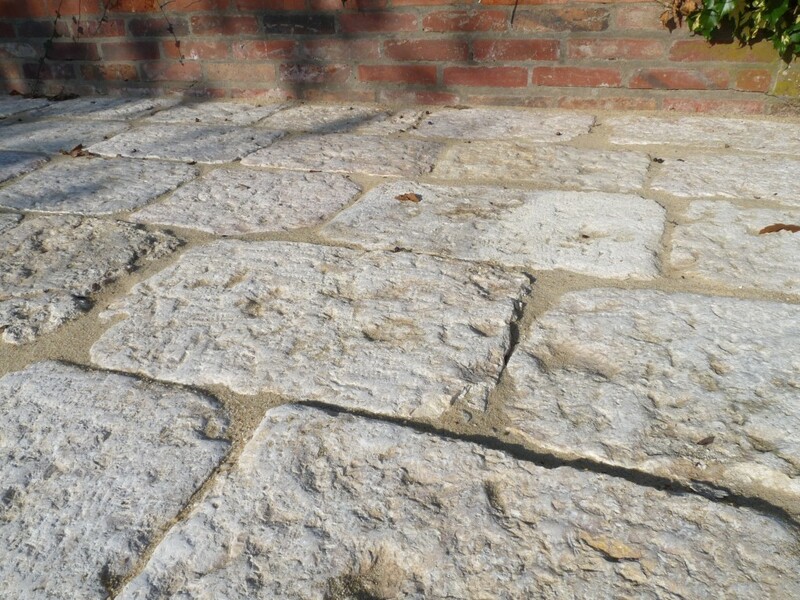 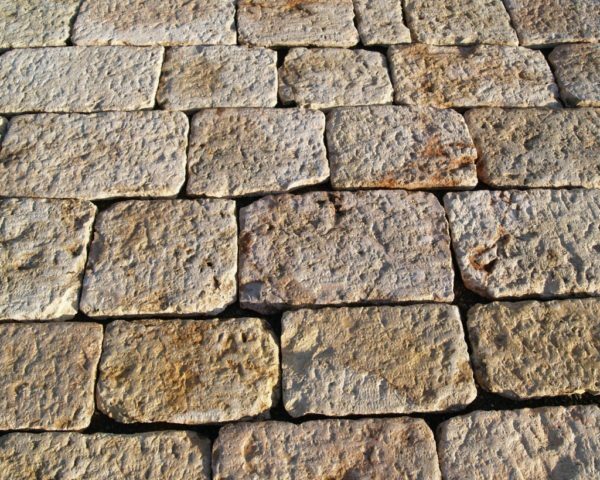 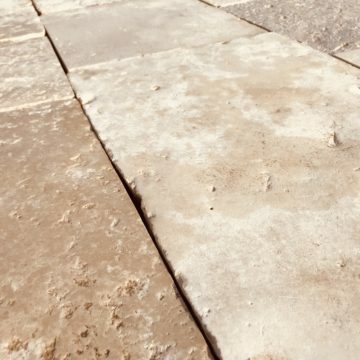 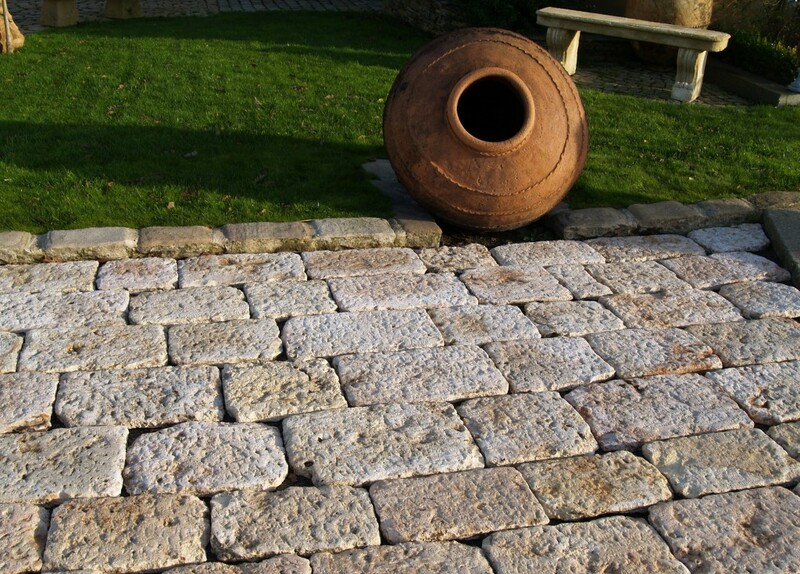 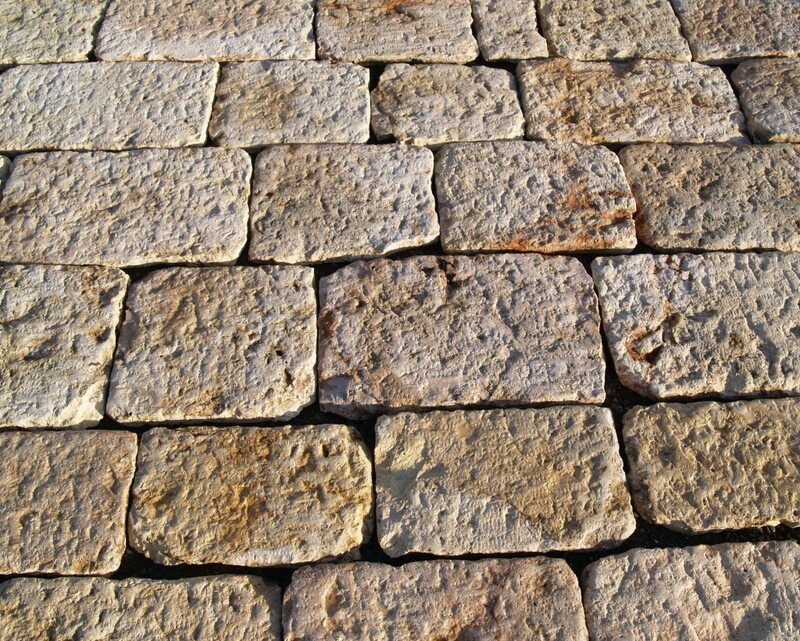 Antique reclaimed Jerusalem stone-type pavers: authentic antique limestone paving salvaged from a Middle East source. 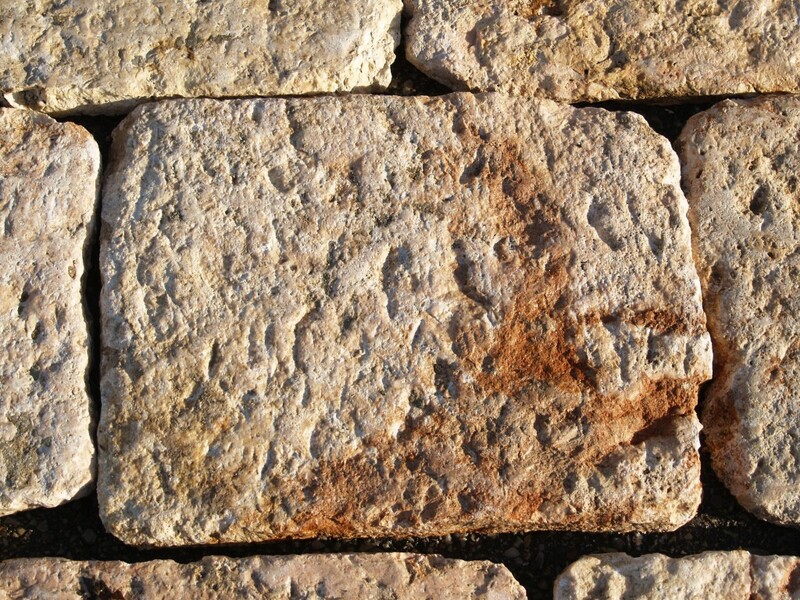 See the provenance photos available. 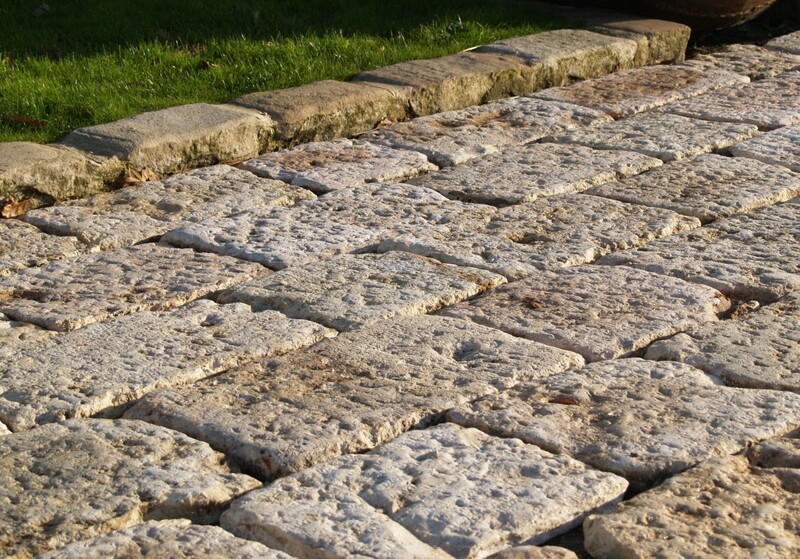 We have had them sawn to approx 3 cm (just over 1 inch) to facilitate shipping and easier installation. 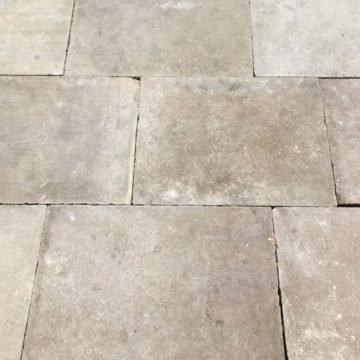 Available from stock immediately. 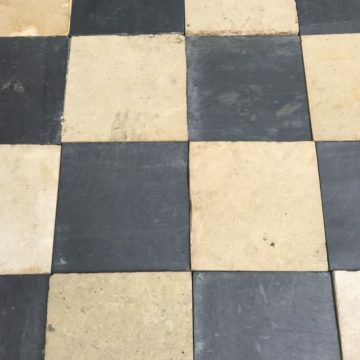 Metric dimensions approx: in mixed widths for laying in bands after sorting on site, typical various widths 20, 25, 30, and 35cm etc ….. x mixed lengths. 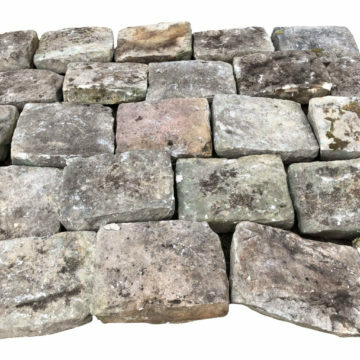 Imperial dimensions approx: in mixed widths for laying in bands after sorting on site, typical various widths 8, 10, 12, and 13 inches etc ….. x mixed lengths.